People all over the Treasure Valley were out enjoying the beautiful, sunny weather and making the most of the warmest weekend of the year so far! EAGLE, Idaho — People all over the Treasure Valley were out enjoying the beautiful, sunny weather and making the most of the warmest weekend of the year so far! At the Eagle Bike Park we found a wide variety of people enjoying the day. 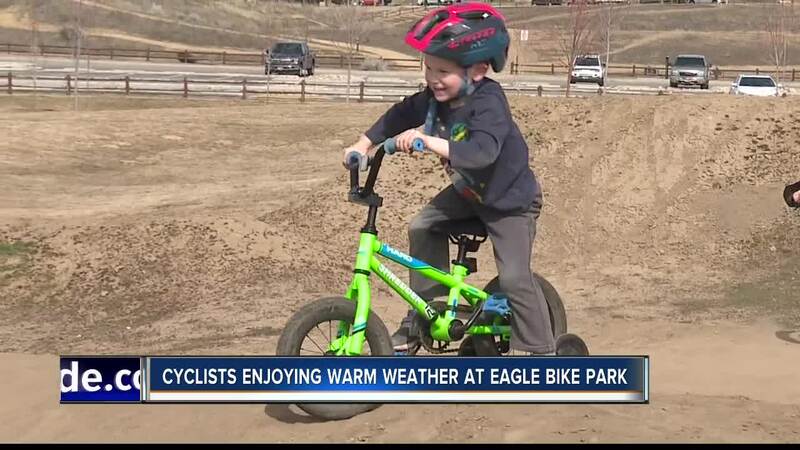 The Eagle Bike Park is free for the public to use, and it's a family friendly environment. One family said it was their youngest boy's first time riding at the park--and he wasn't even phased! More experienced riders say they've been waiting for a weekend like this all year. "Yesterday rode all around went to Rhodes the skate-park there were tons of people there went to the Willow Lane jumps and did a little there and now I'm here at the BMX track working on my skills and speed to not overshoot stuff it has been a pretty gorgeous first weekend that is for sure," said Braden Cissney, a BMX rider. Earlier this year, it was far too cold to ride outside, so BMX riders got their biking fix on an indoor biking track--built entirely by volunteers.